We would love to cater your food and drinks menu, be it for a meeting, group sessions, social party, corporate event or a theme party. Give us a budget and you will be surprised what we can create. We are available for private hire on Monday to Wednesday from 7pm onwards. We customise the food and drinks for each occasion so please get in touch with us to discuss your special event. Prices vary according the menu selected and the support team required to make your event memorable. A non-refundable deposit is required upon confirmation for the private hire of the restaurant exclusively. 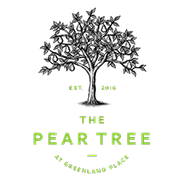 We consider each event on an individual basis, do drop us an email at hello@thepeartreekitchen.co.uk or pop in for a chat about your special event, be it catering or private hire. BRINGING PEOPLE TOGETHER WITH BEAUTIFUL FOOD, ARTISAN COFFEE AND THE FINEST TEA.